When everyone is thinking of wearing weaves and extensions, their main motto is to obtain a natural like appearance. And of course, nobody wants their weaves to be noticed by people quickly. This is the reasons people practice hard to cover the front tracks of extensions. So Installing extensions method comes with hassle of blending your hair textures with the hair texture of the extensions. We all know about closures and frontals by now. But what many of us don’t really know is the difference between a Silk closures and Lace closures.Due to which most of the time people are not clear with their decisions which type of closures they should pick to cover the front of the hair without So KBL Hair experts have made this guide to make you better understand about silk and lace closures. So that you can get more clear with your decisions while picking any of these closures. A lace closure has one lace layer to link the hair.sometime,it is made of swiss lace which has quite thin mesh.keep it in mind that the thicker mesh is,the cheaper closure you have got.the closures have baby hair at the front of hair to make your hair more natural when you install it.besides,it has bleached knot so that the hair below is invisible.good lace closures usually have about inches to 7 inches base.if its size of base less than 5 inches mean its cheaper and cover less zone.in order to keep the mesh from destroying,the edges are strengthened. 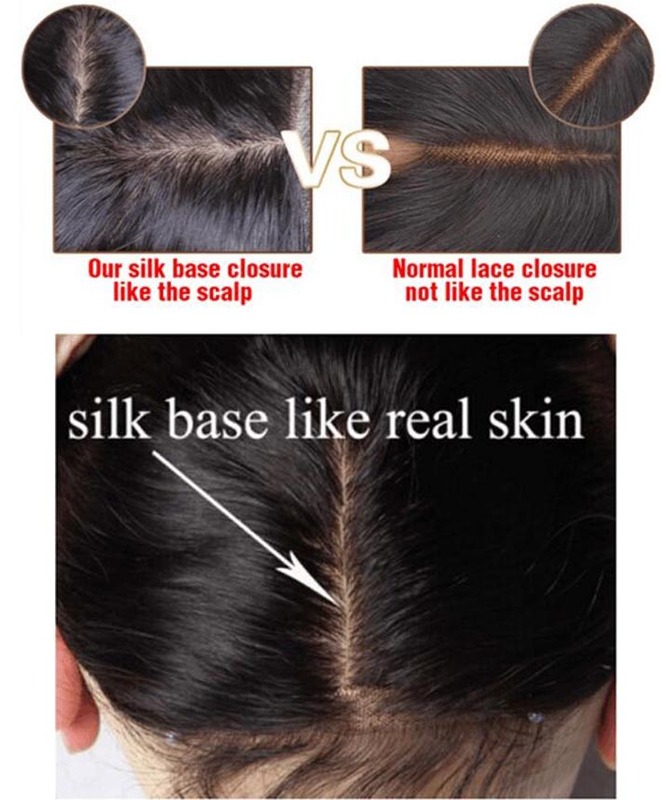 Silk base closures have three layers.the counterfeit scalp is in the first layer.next is lace and the third is silk.the silk base closures in KBL are firm and made of swiss lace that has 3 mesh with 180 density.because the knots are located between the lace and the lace,it has not hair on the bottom of silk.the silk is thin so that you will feel its comfortable when you install it. 1. Comb to closure hair, long hair from the tail began to cycle up. 2. The neutral shampoo into warm water (25 ~ 30 ℃) Stir well. 6. Gently tap the drops with a towel or gently shake off the drops. 7. The natural hair comb smoothly (curly hair cast on the elastic force from the bottom up care style). 8. Comb to the hair styling. 9. Place the ventilated place to dry naturally. Do not exceed 50 ℃ hot water to wash curly hair block, it will make the curl larger, straightened. Do not squeeze or knead when cleaning, do not use comb comb unreasonable force, it will make curl deformation.